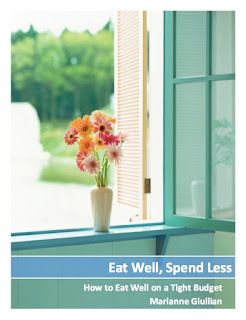 Spendwise Moms: Olive Garden Facebook Giveaway! 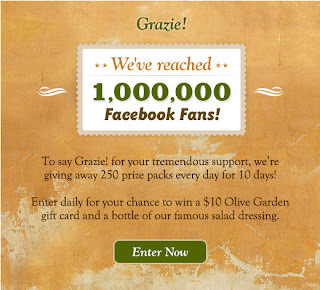 Olive Garden is giving away 250 prize packs every day for 10 days to Facebook fans. You can enter daily for a chance to win a $10 Olive Garden gift card and a bottle of their famous salad dressing. Go here to enter.